TOKYO (CNN) - North Korea on Monday test-fired a two-stage ballistic missile, part of which flew over Japan, landing in the Pacific Ocean. 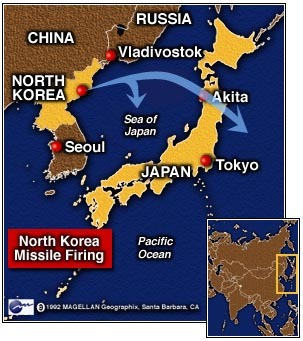 Japanese officials confirmed that part of the missile flew over Japanese territory. It appeared that the booster rocket landed in the Sea of Japan, which separates Japan from the Korean Peninsula. CNN Correspondent Jamie McIntyre quoted a U.S. administration source as saying the Taepo Dong 1 missile flew about 950 miles (1,500 km), landing about 300 miles (480 km) east of the Japanese island of Honshu. 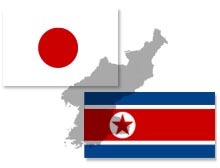 A Japanese Foreign Ministry official, Sadaaki Numata, told CNN that Japan had filed "a very strong protest" to North Korea, calling the test "highly regrettable." 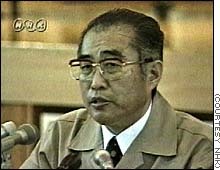 Numata said the test posed a "serious concern to Japanese security." He said that while it was clear now that a North Korean missile could reach Japan, the motive for Monday's test was not known. Japanese Prime Minister Keizo Obuchi warned that Japan would consider "some sort of measures" in response to the test. Later, the government postponed signing an agreement to provide North Korea with two nuclear reactors. A Japanese Defense Ministry statement urged North Korea "to stop developing this kind of missile and join the international efforts for non-proliferation." The Japanese government told CNN that "North Korea launched a missile without an advance warning into an area where many Japanese fishing vessels operate." Officials said the United States had been monitoring preparations for the test for weeks and detected final preparations last Thursday. Pentagon officials termed the test a success. A U.S. ship, the Observation Island, was in the area to monitor the test. Japan's Vice Foreign Minister Shunji Yanai said there was no evidence to suggest the launch was anything but a test. North Korea already has tested and deployed the Rodong 1 missile, a refinement of the Soviet Scud missile with a range of about 620 miles (1,000 km). South Korea's Defense Ministry has said the North's missile are capable of carrying chemical or nuclear warheads. Monday's launch was believed to have been North Korea's first missile test in five years. Correspondent Jamie McIntyre and Reuters contributed to this report.